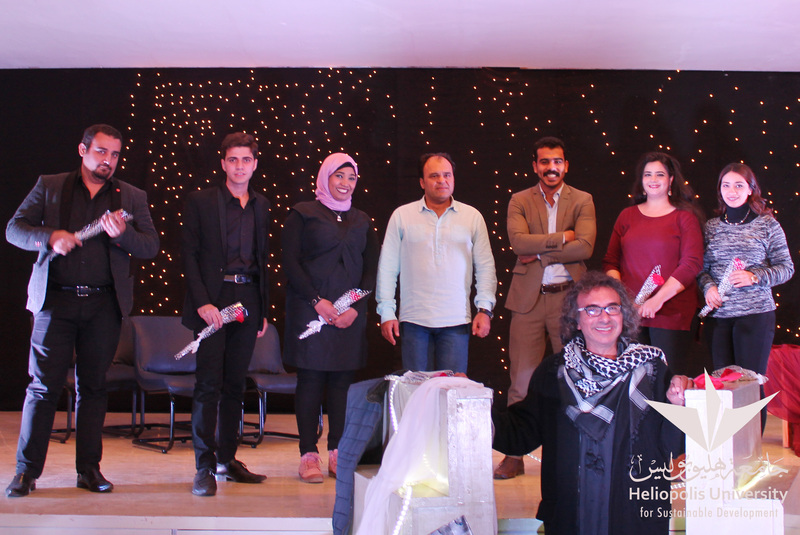 In Commemoration of Mahmud Darwish, the audience were taken in a journey to the deep feelings of that great poet by HU talented students and staff members. Darwish’s words always had that magical effect on his listeners. That is why he has been described as the man of action whose action is poetry. Mahmud Darwish (1941-2008) was a Palestinian poet and author who was regarded as the Palestinian national poet. He won numerous awards for his works. Darwish used Palestine as a metaphor for the loss of Eden, birth and resurrection, and the anguish of dispossession and exile. 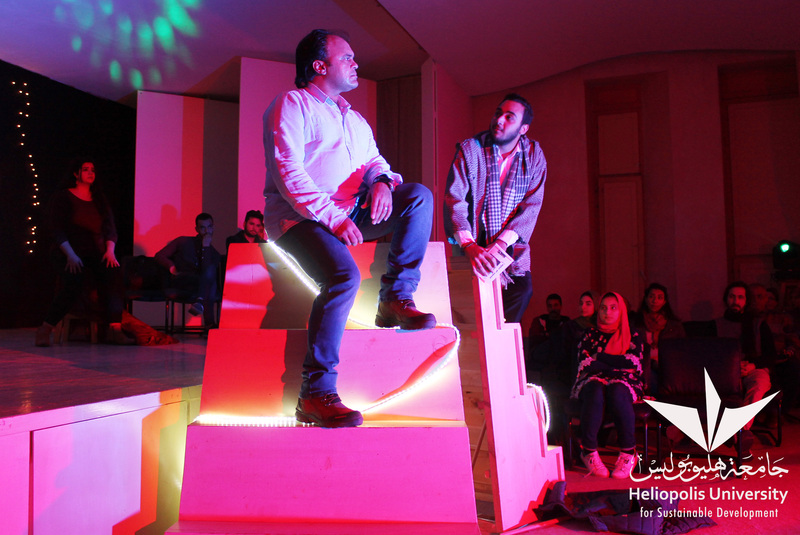 The poetical play’s vision and direction is by Hamada Shousha. 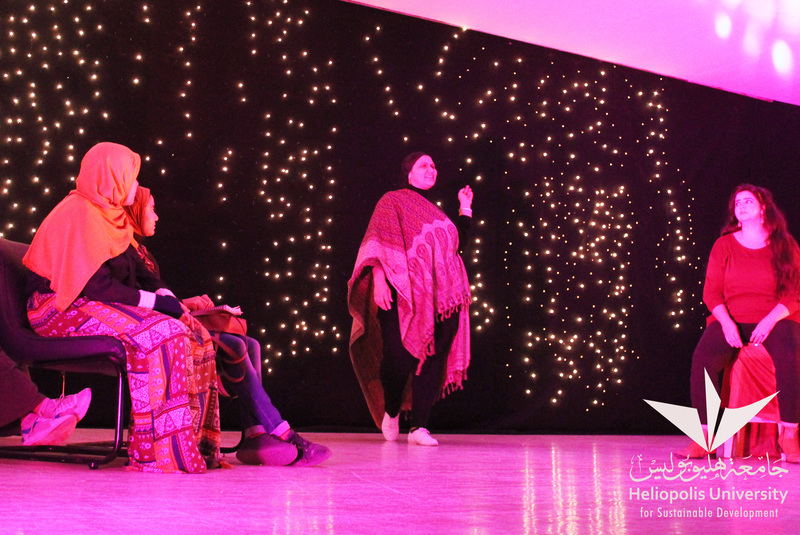 The actors were Nashwa Ahmed, Tamer Elgazzar, Esraa Magdy, Nourhan Hamdy, Zeynab Hedar, Sherif Qabbani, and Mahmoud Imran. Music was played by Sherif Mostafa and light by Mohamed Abdel Mohsen.